Leamington Spa-based Oliphant has been racing on the BTCC support package for the last four seasons. The 27-year-old won the Ginetta GT4 SuperCup in a record-breaking 2015 season before moving to the Porsche Carrera Cup GB, in which he scored six podium results and finished in the top four in the title race in both 2016 and 2017. 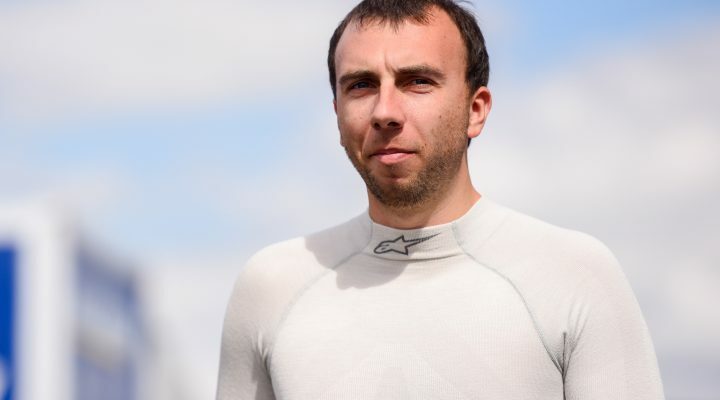 He has also competed in selected rounds of the Porsche Mobil 1 Supercup, supporting Formula One Grands Prix, and is currently the championship leader of the Porsche GT3 Cup Challenge Middle East, in which he won the 100th race in the category’s history. Russell Morgan, Ciceley Motorsport Team Principal, added: “These are exciting times for Ciceley, with Tom Joining Adam Morgan. We have two gifted young drivers peddling our Mercedes-Benz A-Class in the BTCC this year. “As soon as I heard that Tom was available we moved mountains in our quest to sign him. Tom is exactly the type of driver I want in my squad: professional in and out of the car and blisteringly fast. Ciceley Motorsport is well established within the BTCC series and it enters the championship’s landmark 60th season with six wins and 21 podium finishes across the last four racing seasons with its familiar A-Class. Norman Burgess, Ciceley Motorsport Commercial Director, is equally positive about the season ahead. “At last! We have always wanted to enhance our squad and bring a second driver into the Ciceley Motorsport team,” said Burgess. Tom is a real go-getter and has enjoyed a fantastic career. The competition between Adam Morgan and Aiden Moffat has been beneficial to the team’s growth and progress within the BTCC and now that Tom has entered the fold things are really going to hot up in 2018.